Home Sweet Home! Living the DC Ranch lifestyle at an affordable price! 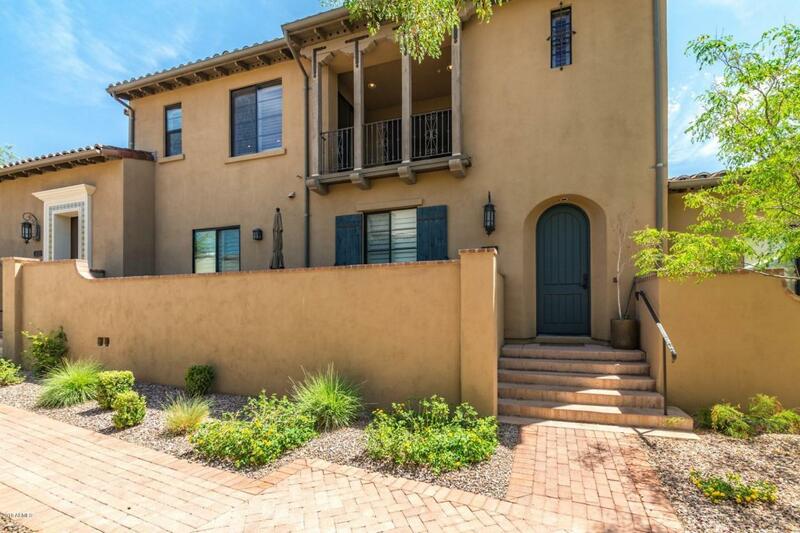 Cozy Townhome in gated Courtyards @ Desert Park located DIRECTLY across the street from the Village Health Club and Spa & Gateway hiking. Great 2 bedroom/2 bath is light, bright, open & spacious. 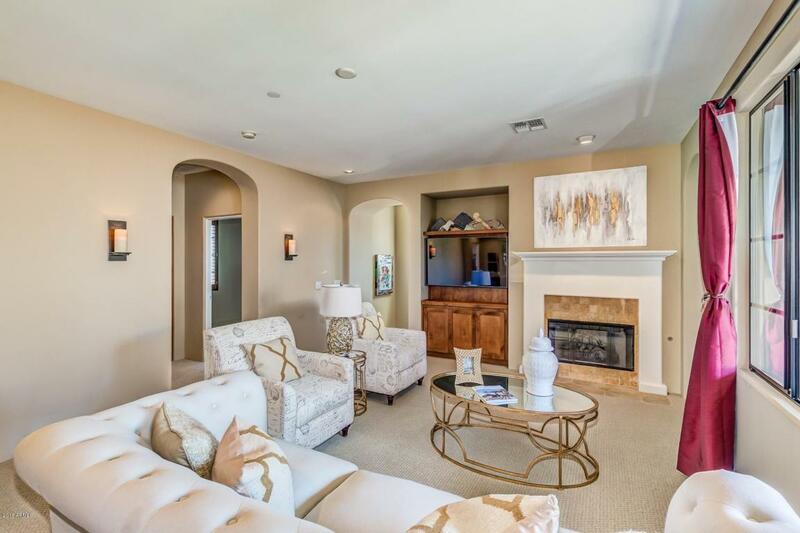 Great Room has fireplace, custom cabinetry w/built-ins, large TV customized to space. Office is right next to Great Room but private. Large kitchen w/island has tons of cabinets, granite counters, stainless steel appliances, pantry & large balcony for entertaining or lounging. 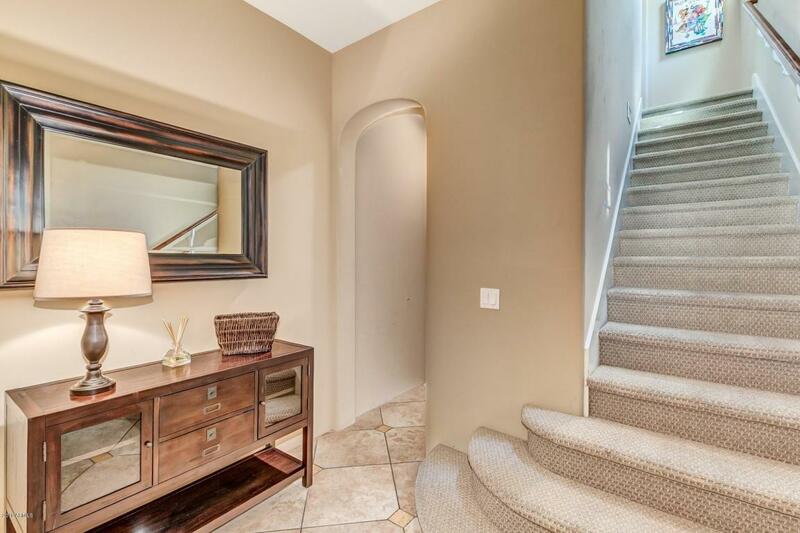 Master retreat has large window w/mountain views, nice walk-in closet, bath w/dual sinks + vanity, soaking tub + shower. Bedroom 2 is spacious & also has great mountain views. Home has plantation shutters throughout. In DC Ranch you'rebuying a "lifestyle". 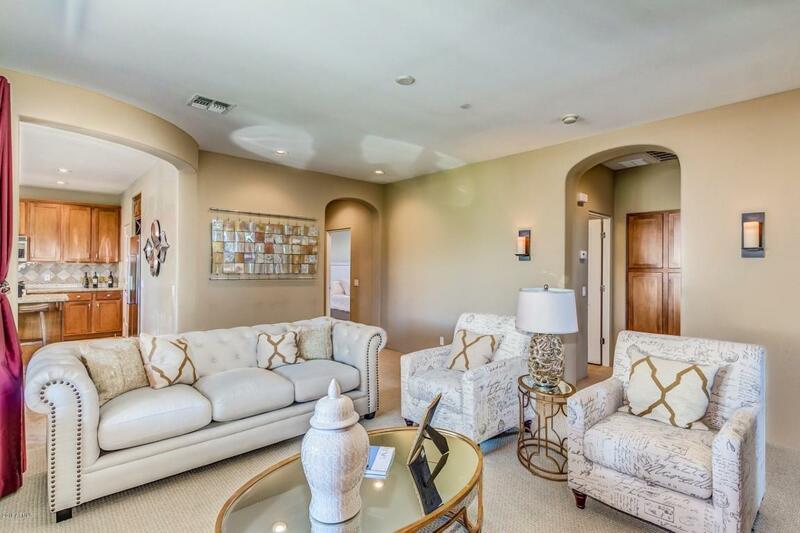 A lifestyle of character, charm, multiple pools, spa, tennis, golf, workout facilities, wonderful restaurants nearby (The Vig, Flemings, Herb Box, All American Sports Grill, The Living Room) and within 10 minutes of Kierland, The Promenade, TPC, - it doesn't get much better than this!! !